The Caldwell Night Rodeo and College of Idaho are less than one mile away, which is why many of our guests choose to stay at our Caldwell hotel. Whether youre in town for an exciting event at the Caldwell Event Center or Canyon County Fair & Rodeo Grounds, less than one mile away, or are visiting the college campus, location is key. Guests at our Caldwell hotel are also just a short drive from Snake River wine region and Idaho Center where the Snake River Stampede takes place. 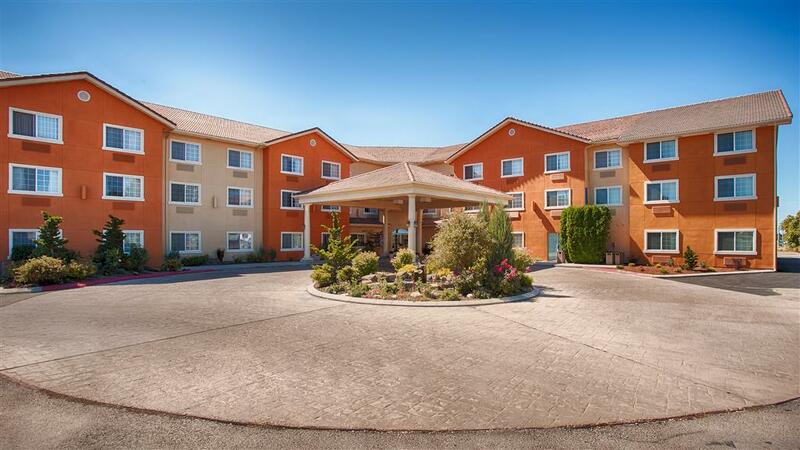 Guests at this Best Western Plus Caldwell Inn & Suites receive a warm welcome and spacious, well-appointed rooms. Along with our great Caldwell location, we offer a 24-hour heated indoor pool and hot tub, which is the perfect way to relax. A convenience store in the hotel makes it simple to get necessities. Our full complimentary breakfast gets guests started on the right note every morning. Featuring biscuits and gravy, bacon, hot waffles and eggs along with pastries, fruits and a big selection of cereal, leave the most important meal of the day to us. Top it off with 100% Arabica coffee or cold juices. We have a great outdoor patio with a guest Bar-b-que. Business travelers enjoy the touches of home that our Caldwell hotel provides. Some of our frequent business guests are in town with Simplot, Darigold , D&B Supply or the Treasure Valley Livestock Sale. Were just 10 miles from the Idaho Center and Nampa Park, and miles from the Treasure Valley Mall and Edwards Movie Theater. From business to leisure, our perfect location makes traveling easy. Guests who are looking for value combined with quality amenities find everything they need at our Caldwell hotel. With friendly staff members, a delectable free breakfast and access to the best of the region from rodeos to academies, we understand that convenience is a top priority for you, which means it also is for us. Book your upcoming stay at Best Western Plus Caldwell Inn & Suites, where quality meets service. From: Interstate 84. Take Exit 29 West on Franklin Road. Turn left on Specht Avenue. The Best Western Plus Caldwell Inn and Suites is located on the right.